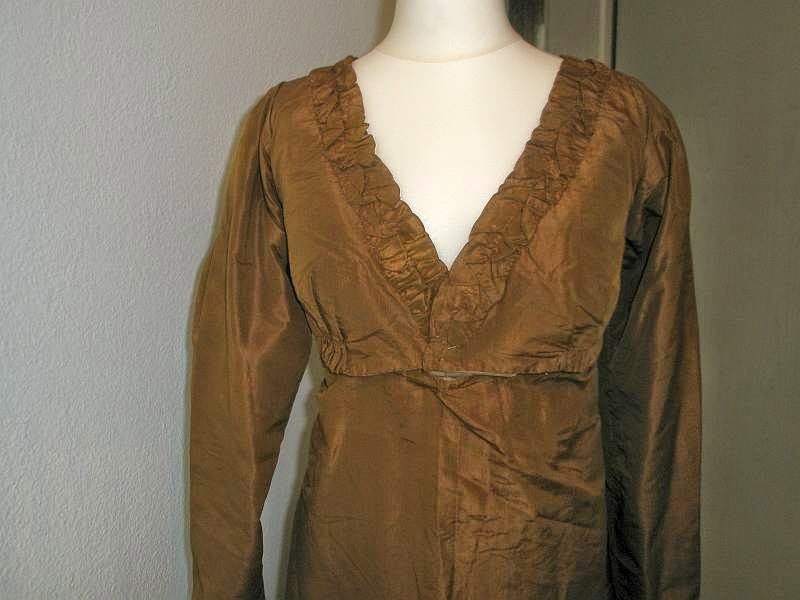 There are frills to the neck, sleeves and the hem which has cording as well. 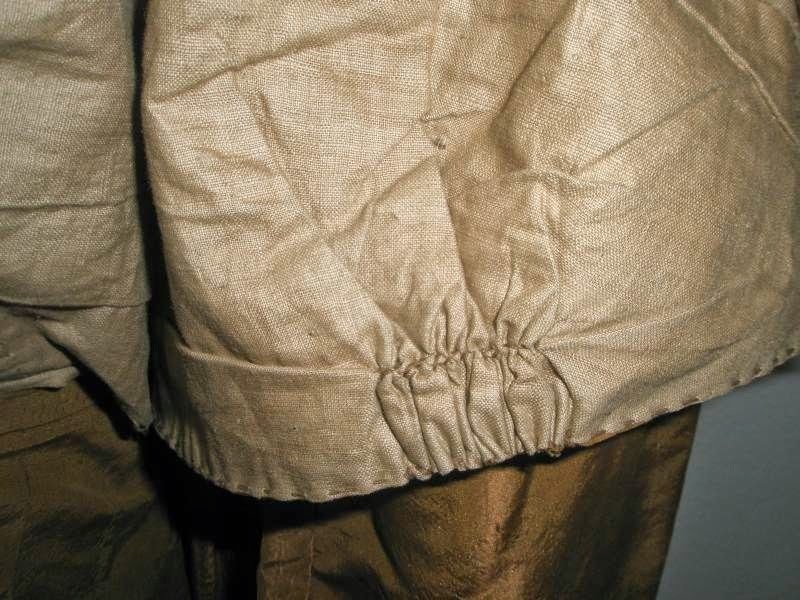 The bodice is lined in brown linen, and there are still the linen flaps inside the bodice, which would have closed with a pin. The high waist is beautifully, and tightly gathered at the back. As with all these apron-fronted dresses it needs to be arranged on a mannequin, which takes time and patience. However, the end result is charming. There are a few very minor condition issues - a few stitches needed here and there. 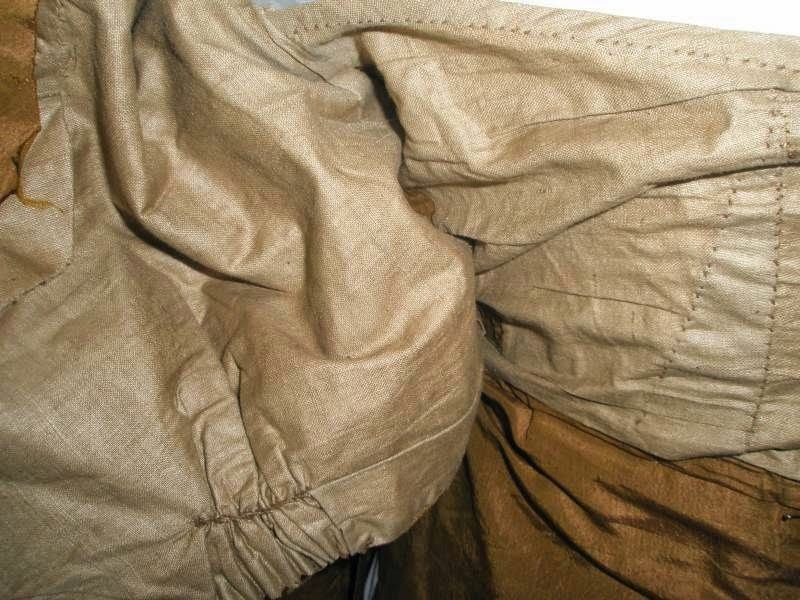 There is a 2" tear in the front skirt, and a small tear on one sleeve. These faults are not obvious unless looked for, owing to the fairly dark gathered material, and can be conserved easily. 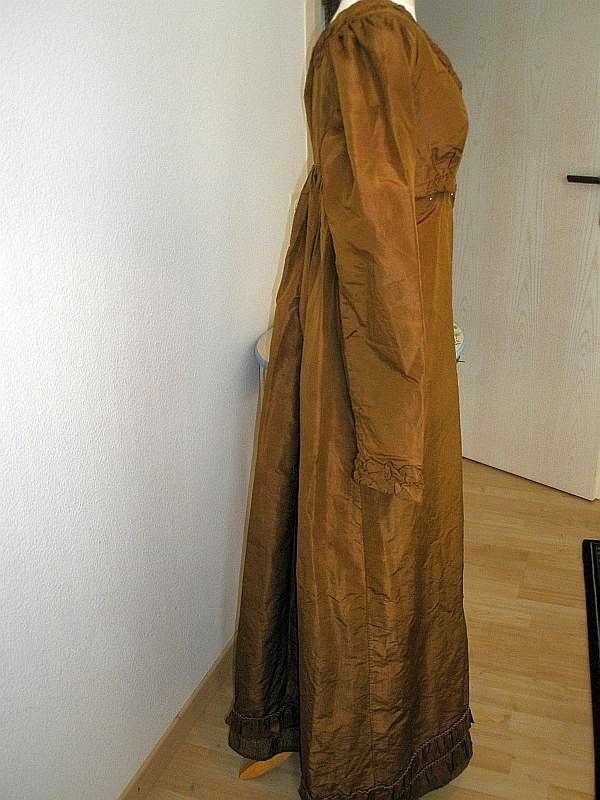 I love this dress, as it is so typical of the period, in it's style. If there are any small alterations they are not obvious. Measurements: Length from shoulder to hem 53". Across shoulder 12". 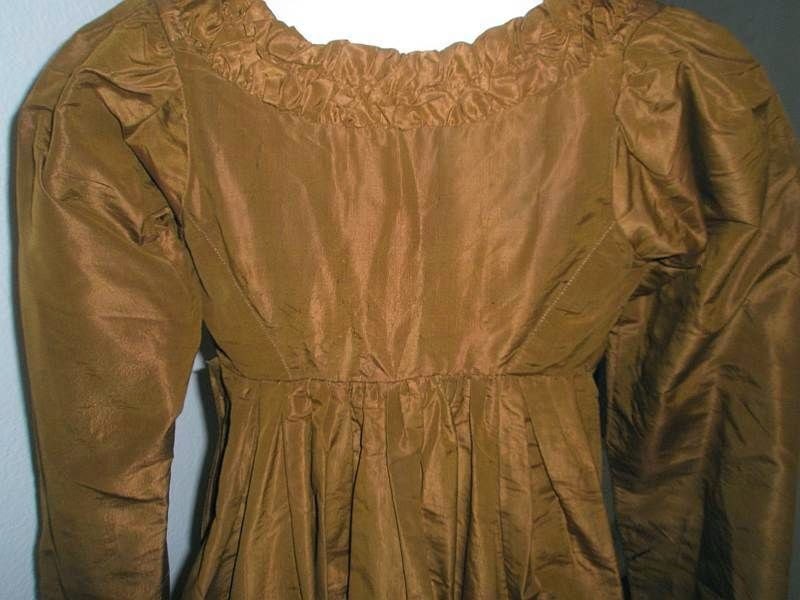 High waist approximately 28" and sleeve length 26"
Very much from the 1811-1815 timeline - probably more towards 1814 by the looks of the V front. It's not an apron front dress, however. 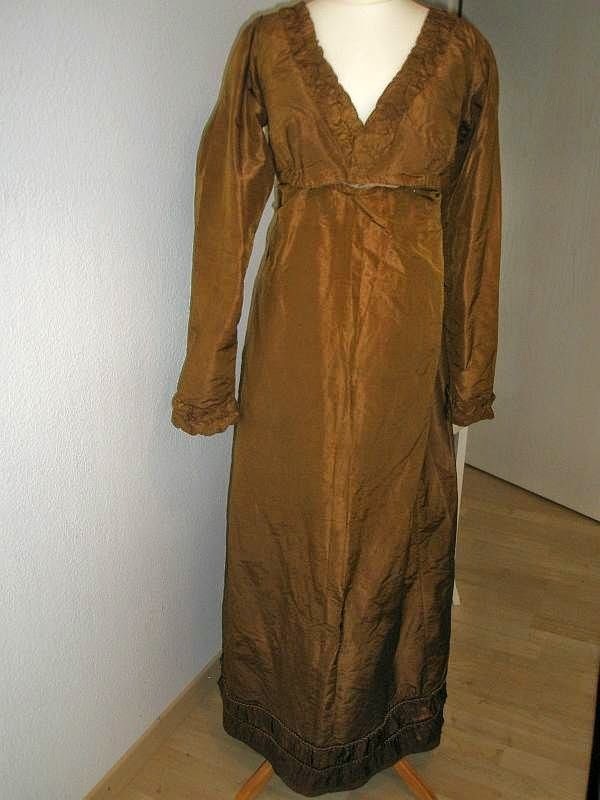 It's just a v-neck Regency dress. 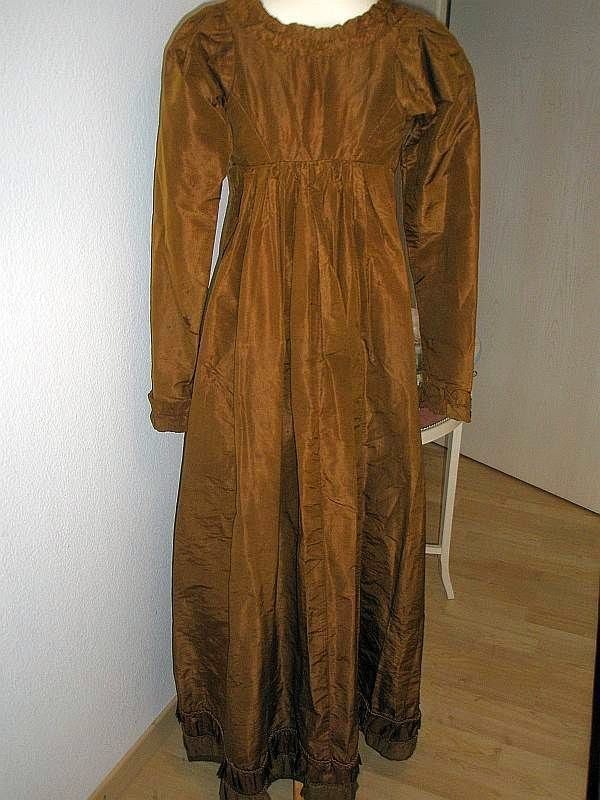 How does this dress fasten? 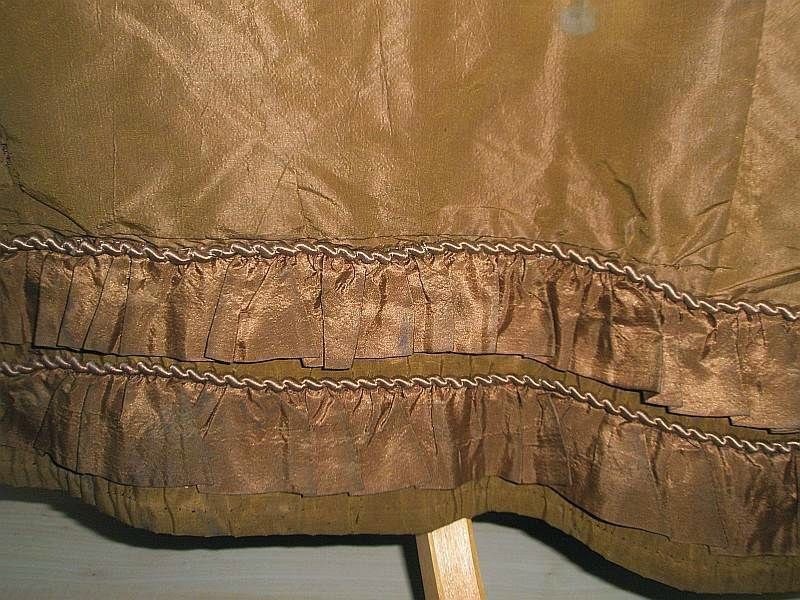 How is the front skirt attached to the bodice, once worn? Just pinned in place ? Based upon the photos, it closes in the front and is pinned in place. 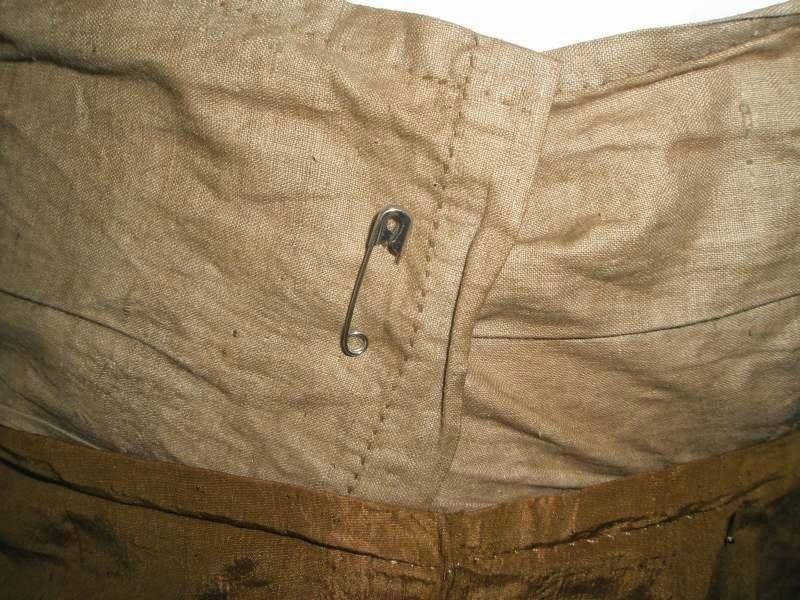 You'll see the brown cotton lining in one of the photos with a safety pin - the safety pin is there to keep the dress closed. You'll also notice that the front of the bodice is not attached to the skirt - the skirt most likely is a fall front that you tie around the back underneath the dress. 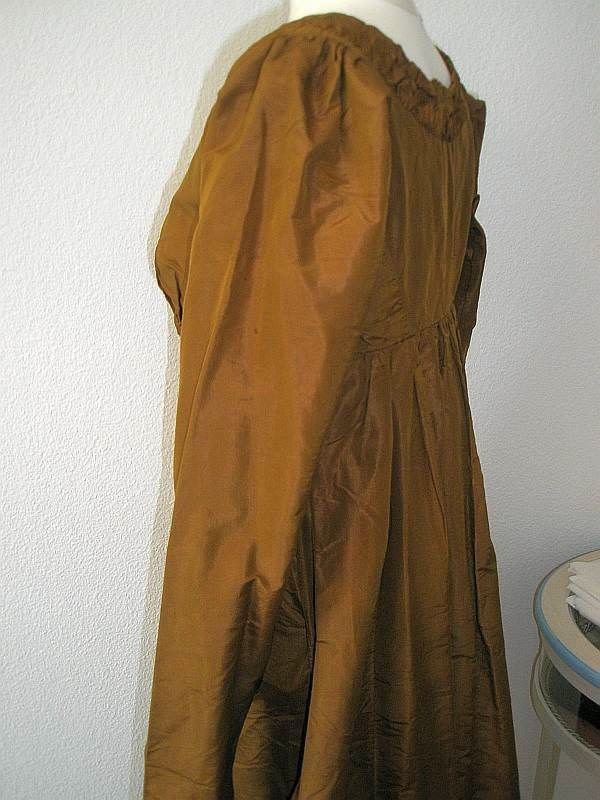 The front of the dress is then closed with pins.